First Brexit, then Trump and now Series 4. Will the nightmare never stop? This entry was posted in News, Other and tagged bbc sherlock, reviews, tv series on February 9, 2017 by JH Watson. 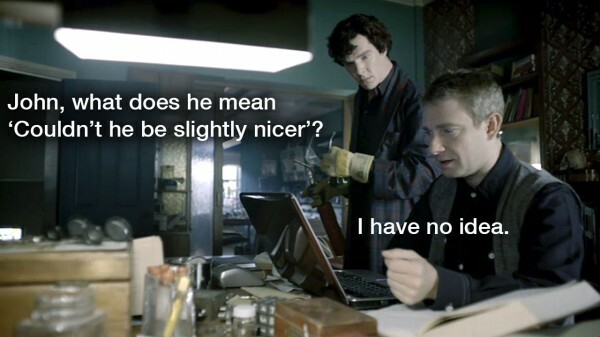 A Nicer Sherlock With a Bigger Star Than Benedict Cumberbatch? Really BBC? Why am I thinking that “the courage of convictions” were Steven Moffat and Mark Gatiss throwing polite but firm fits at casting “a bigger star” instead of using the right actors? Although, I do have to mention a recent “Happy Hour” conversation I had with someone who said she couldn’t watch Sherlock because “he’s just so mean to people.” I should mention that this person is a graphic designer who announced in the same conversation that she had just used Adobe Photoshop layers for the first time. After I picked my jaw up from my cheese plate (she’s not that young or a new designer), she explained she used Illustrator for all of her design work and used Photoshop to crop pictures. In other words, this is not someone who handles change in her life, or contradiction, well. Fortunately, a large part of the prime PBS demographics disagrees with her and likes a character who says what we all wish we could say but are too polite to do so. Taxes nearly done. Class materials prepared (and class starting tomorrow). Alas, I won’t be able to make 221B Con (despite having a membership), but I will get a chance to work on the fanfic and some more captions this weekend. Ta for now. This entry was posted in Captions, News and tagged bbc sherlock, benedict cumberbatch, Sherlock Holmes, tv series on April 10, 2013 by JH Watson. This entry was posted in Captions and tagged bbc sherlock, benedict cumberbatch, john watson, Mark Gatiss, martin freeman, Mycroft Holmes, Sherlock Holmes, tv series on December 24, 2012 by JH Watson. The antlers are coming starting tomorrow. I’m in a holiday frenzy. I should be geting a lot of things finished today (assuming all of the phone calls stop), but I wanted to get the holiday silliness launched today. 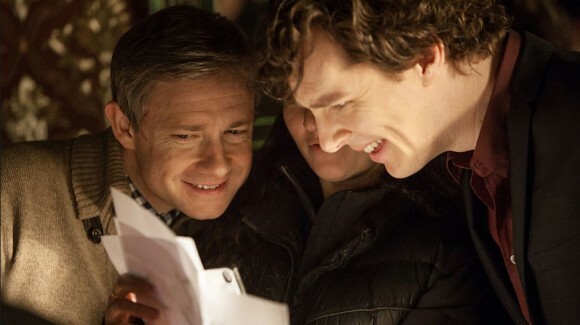 This entry was posted in Captions and tagged bbc sherlock, benedict cumberbatch, john watson, martin freeman, Sherlock Holmes, tv series on December 1, 2012 by JH Watson. 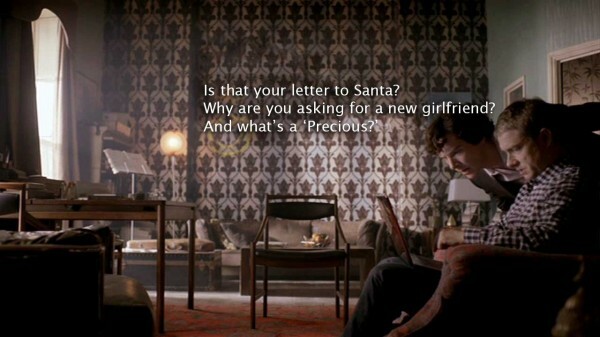 But Santa Moftiss, We’ve Been Good! 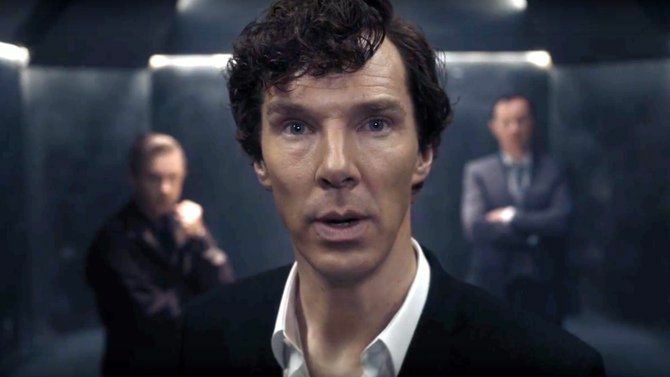 Yes, that eery, horrific noise you heard was the sound of millions of BBC Sherlock fans screaming in pain at the news that production for Season 3 is being delayed for at least 3 months due to scheduling conflicts for Benedict Cumberbatch and Martin Freeman. This is what happens when you have so much incredible talent working together. *Heavy sigh* Well, kids, I guess we’ll just have to find ways to keep ourselves entertained (notice I did not say sane) until late 2013. This entry was posted in Captions, News and tagged Andrew Scott, bbc sherlock, benedict cumberbatch, martin freeman, tv series on November 27, 2012 by JH Watson. A Supernatural cosplay won the Seattle Sherlock Con competition?! I still maintain that we would have won, if you had let me explain how to identify 243 different cigarette ashes, John. 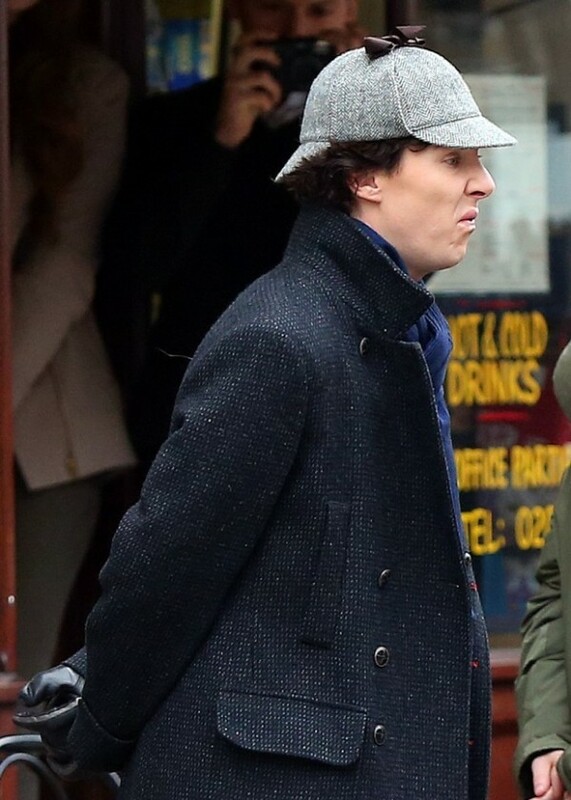 You should have worn the hat, Sherlock. Right. So I made it back from the Seattle Sherlock Con Monday in time to feed cats, clean the litter boxes, and dash off to my NaNoWriMo group meeting where I finally decided which Sherlock novella project I would work on and started roughing out the outline (only 7 days behind schedule). I met some lovely people at the Sherlock Convention and really appreciated the support, both verbal and tangible. We are completely out of both Small and 2XL quote t-shirts. Some folks had some smashing ideas for taking a Large t-shirt and recycling it into something they could use even though it was too big. Some of my favourite ideas was a pillow, a purse and a laptop case cover. I may play with those this winter. I’ll be posting a big Thank You Shout Out tomorrow for as many of the lovely folks who assisted, said kind, words, and so forth at the SSC. I’ll also be getting up the promised PDF files for the complete set of Sherlock Quote (Artist) Trading Cards so that folks can download the sheets and print out their own set on business card stock. I’m glad so many folks enjoyed them. Meanwhile, I’ve decided to try to add the rest of the non-Holmes Boys fan fiction to the PDF compilation Sherlock Cares Volume 1, that folks can download, and if they want to kick it old school, print out and turn into a physical zine. I’m also going to test my copy of Scrivener to see if I really can create an epub in multiple formats (including Kindle) with cover. I have a few of the “What Might We Deduce About His Heart?” double-sided mini-posters/fanzine covers left and will figure out something to do with them later this year. So be a little more patient with me on that (I have to catch up on being roughly 12,000 words behind on NaNoWriMo (not to mention those pesky things like paying bills). 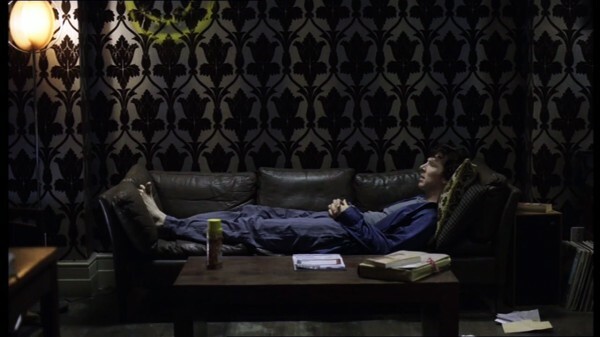 Oh, and naturally, my copy of Sherlock: The Casebook arrived on Saturday while I was gone so I’m trying to not spend the day reading it instead of actually getting work done. 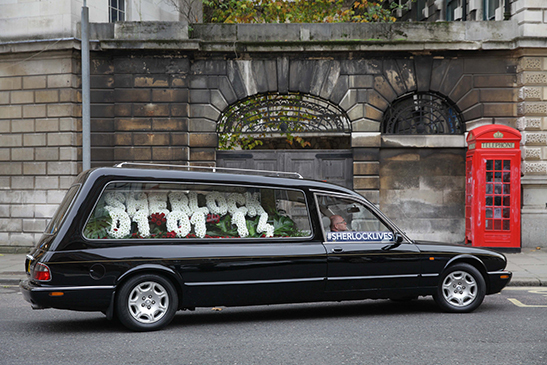 This entry was posted in Captions and tagged bbc sherlock, benedict cumberbatch, charity, convention, FanFic, Sherlock Holmes, tv series on November 6, 2012 by JH Watson. 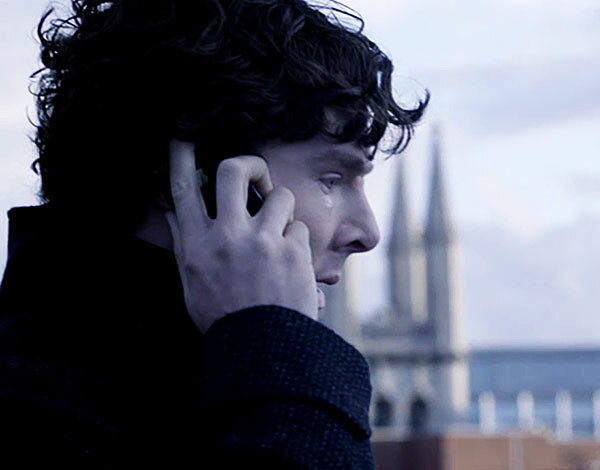 Sherlock made a derisive face as he finished typing his text and hitting send. He stood up and collected his scarf and coat. 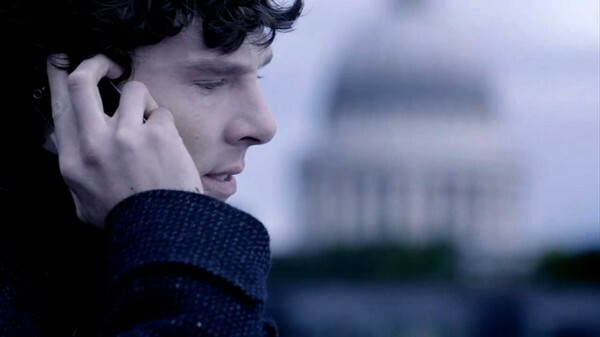 Oh, alright, I’ll throw the slash/shippers a bone (no pun intended) and say that another alternative answer is that Sherlock looks John over and decides he wants to impress and connect so he pretends he can’t get service inside of Bart’s so he can borrow John’s phone because he’s already deduced that Stamford doesn’t have his. But I’ll let someone else write that story. 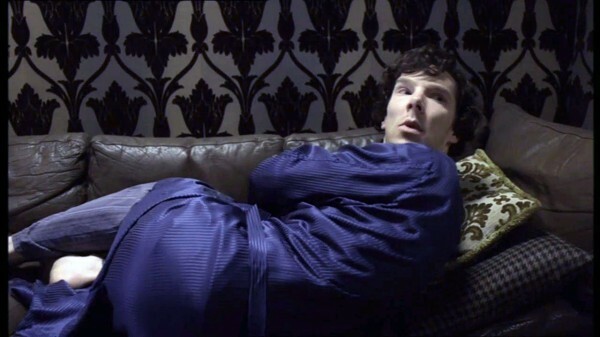 This entry was posted in Captions, FanFic and tagged bbc sherlock, benedict cumberbatch, FanFic, john watson, photo caption, Sherlock Holmes, tv series on October 6, 2012 by JH Watson. 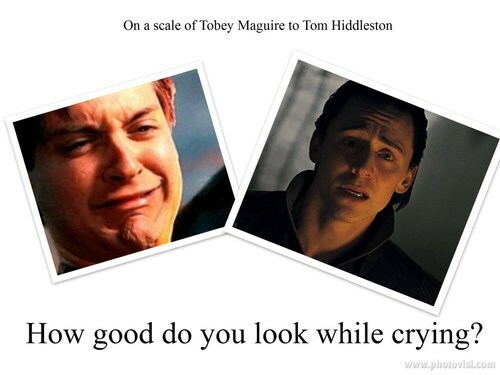 I mean Hiddleston could eat crackers in my bed, but when it comes to lookin’ good while crying, he’s got some serious competition in his Home Boy, Benedict Cumberbatch. This entry was posted in Captions and tagged bbc sherlock, benedict cumberbatch, photo caption, Sherlock Holmes, tv series on October 3, 2012 by JH Watson.